DIT Dublin Institute of Technology Located in the centre of Dublin, Ireland's capital city, Dublin Institute of Technology (commonly referred to as DIT) (Irish: Institiúid Teicneolaíochta Bhaile Atha Cliath) is one of the largest higher education institutions in Ireland. Though established in its present form in 1992, the institution can trace an unbroken history back to the establishment in 1887 of the first technical education institution in Ireland. It continues to build on its long tradition of providing education from certificate to doctorate level. It is known particularly for programmes in Architecture, Engineering, Science, Marketing, Hospitality, Music, Optometry, Pharmaceuticals, Construction, Digital Media and Journalism. Alumni of the Dublin Institute of Technology include many of Ireland's leading writers, artists and politicians. 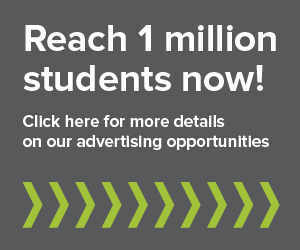 Studentpad is the number one platform for student accommodation. Find student rooms in your city with our modern, fast, and user-friendly databases for student housing. We currently serve over 100 higher education institutions throughout the UK and counting. Whether you are looking for rooms in private student houses, on-campus, or your own flat, you’ll find it on your local studentpad site.